Jiang Pengyi is a photographer who observes cities through the lens of his camera. His photographs have a dispassionate attitude towards the unprecedentedly fast urbanization of China. 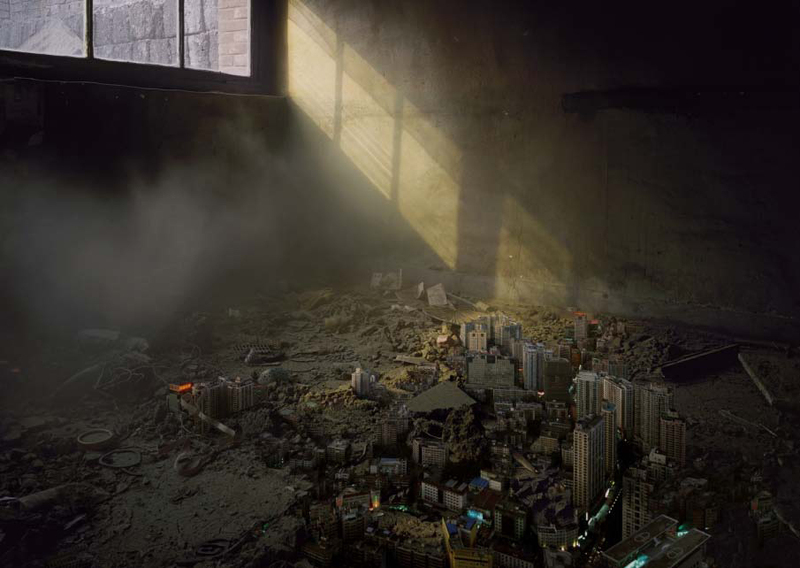 Through long-term exposure—sometimes over fifty minutes—and image manipulation, Jiang creates surreal and apocalyptic scenarios that suggest a disastrous future. For Jiang, skyscrapers are spectacles that evidence the mythologization of modern urban life. And by virtue of his technical strategies, the illuminated skyscrapers in Illuminant—a hotel, a government building, a news agency—appear bizarrely alive as if creatures from outer space. Though highly aesthetic and Polished, Jiang’s images trigger an unidentified sense of fear and discomfort. Polished, Jiang’s images trigger an unidentified sense of fear and discomfort.